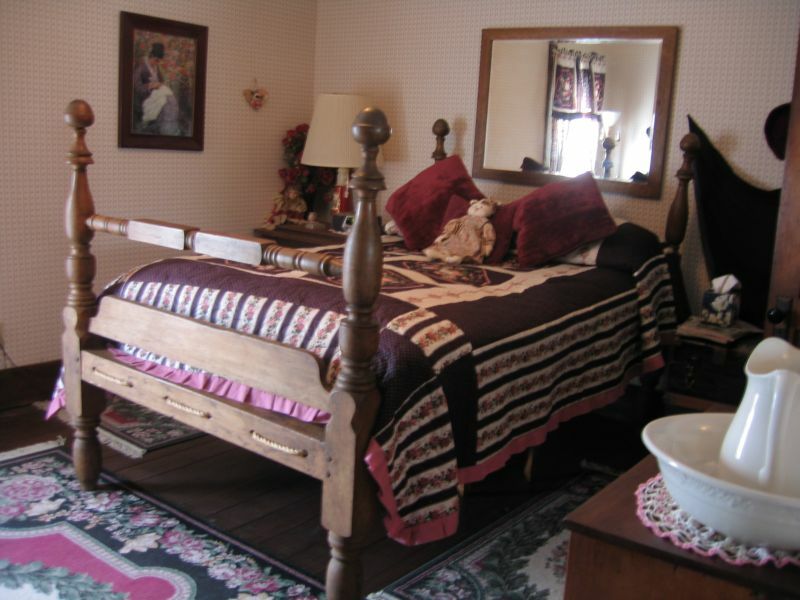 You have three room choices at the Country Colonial. 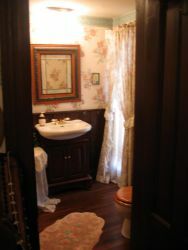 The Veranda Room has a private bath with a(1865) six and a half foot copper bath tub and a Jenny Lind Canopy Bed. 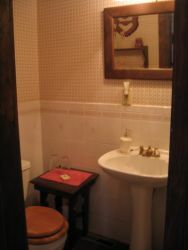 Or you can enjoy the cozy Victorian Brass and Iron Bed of the Blue Room which has a shower in its private bathroom. 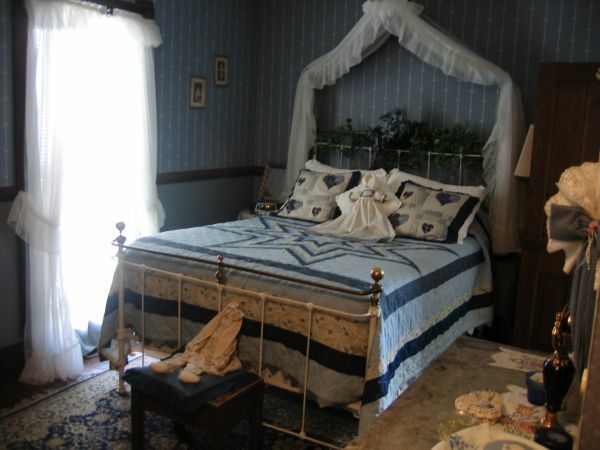 This room is beautifully decorated in country blue, cherubs, flowers and lace. 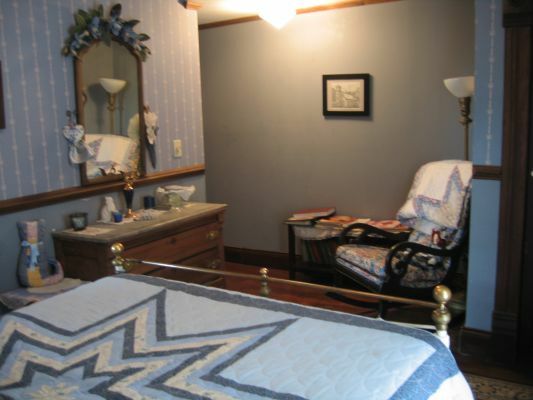 The daily rate for the Blue Room is $75.00. 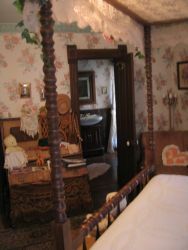 Your third option is to cuddle up in a soft luxurious feather bed supported by a pre-Civil War Rope Bed in the Rose Room. 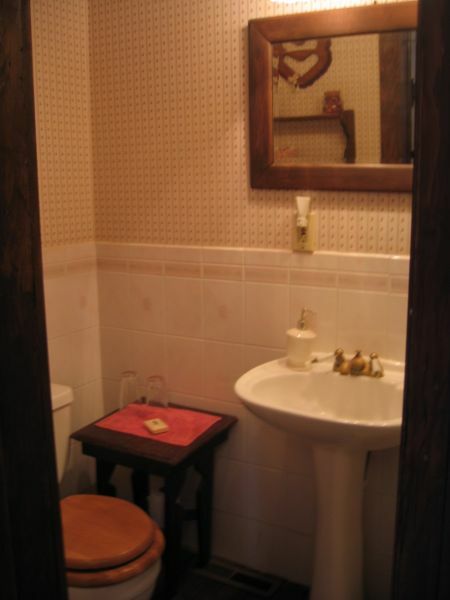 After a day of wandering, freshen up with a shower in your private bathroom. 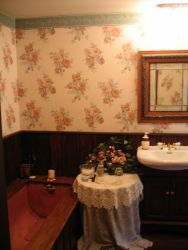 The daily rate for the Rose Room is $85.00.